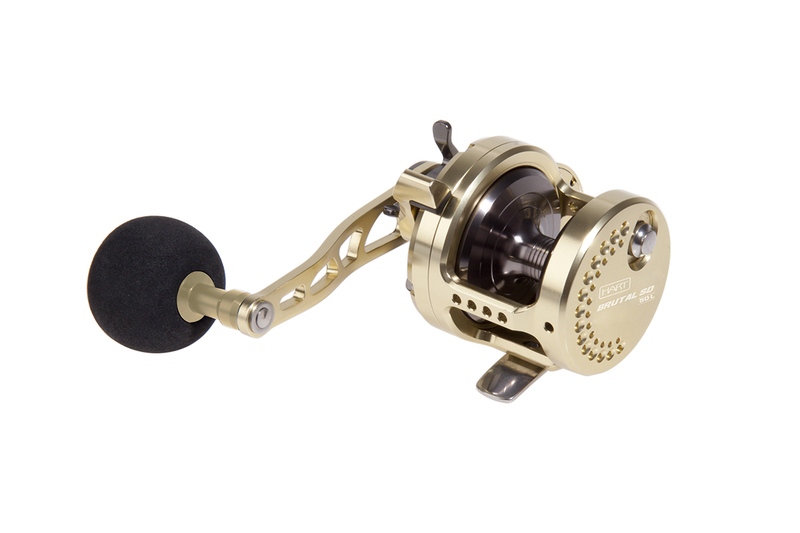 Super powerful jig-casting reel for vertical and casting fishing. One-piece aluminium CNC machined body with NNB Japanese bearings. Narrow reel to facilitate auto-retrieve during combat. High quality dual drag system with carbon washers, made in USA and Titanium (HT100 & Ti). 9 bearings: 1 infinite anti-reverse bearing and 8 stainless steel bearings. Micrometric adjustment system of drag inertia on reel shaft. Ergonomic star drag for combat. Stainless steel handle with EVA combat grip.